The Dino-Lite Premier AM4113ZT is a 1.3 Megapixels handheld digital microscope with adjustable polarization. It is especially useful in suppressing glare from reflective materials, such as metals, plastics, or glass. 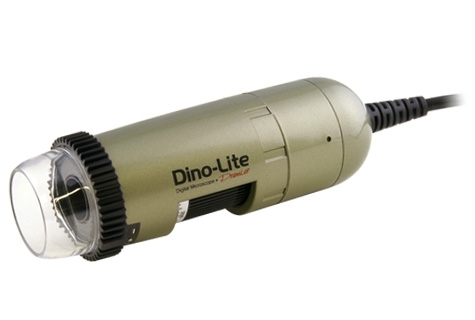 The convenient Dino-Lite design allows microscopy that can be brought to the field and examine large or small objects. This model is featured with variable optical magnification capable of up to 200x. With high sensitivity 1.3 Megapixels sensor to reveal more detail under polarization and high magnification.